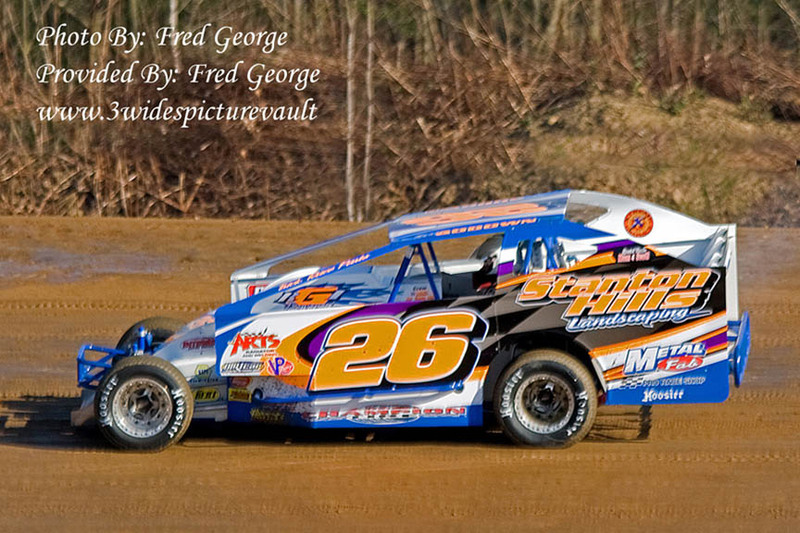 001 - #26 Ryan Godown - Ryan ran strong all night. 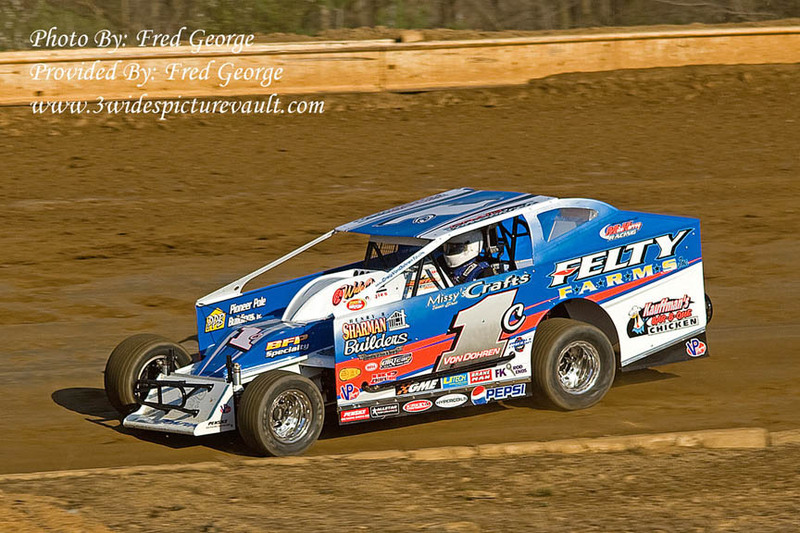 He was in the top 5 during the feature until his car broke on him. 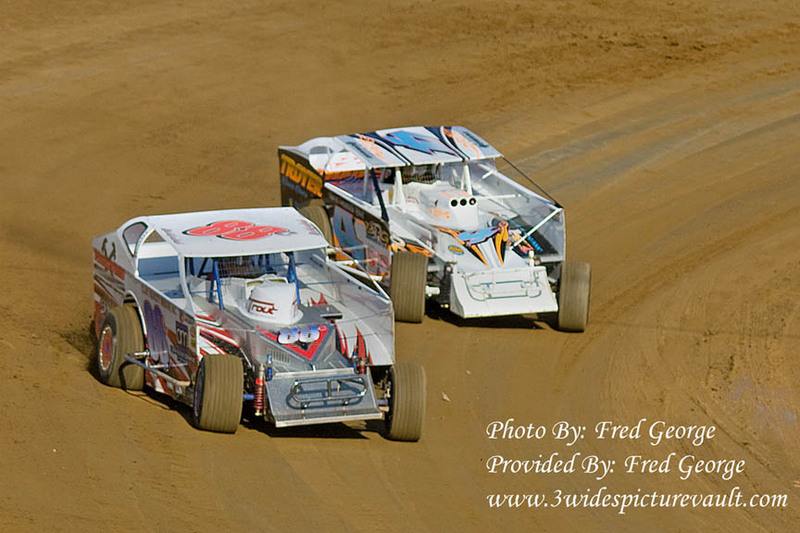 002 - #4 Duane Howard and #88c Rick Laubach dicing it up during warmups. Howard would draw the pole and lead all 75 laps for the victory. 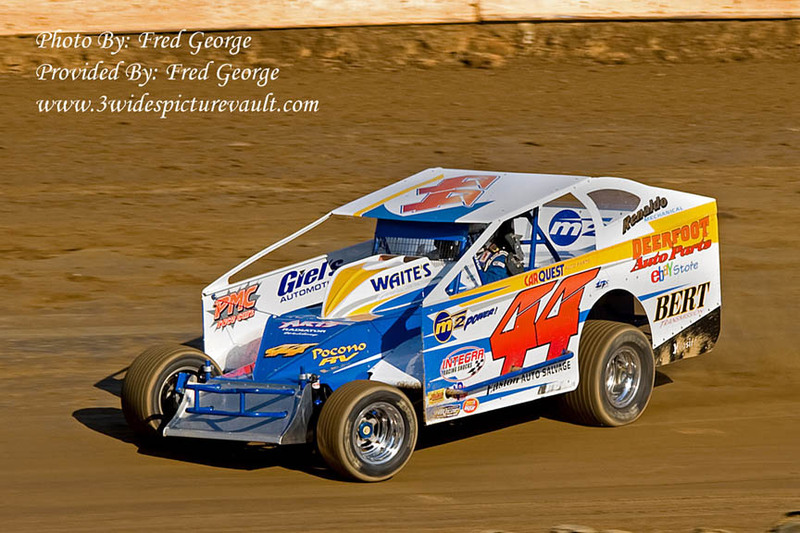 003 - #44 Frank Cozze - Frank would have to qualify through the consi and dropped out past the halfway point. 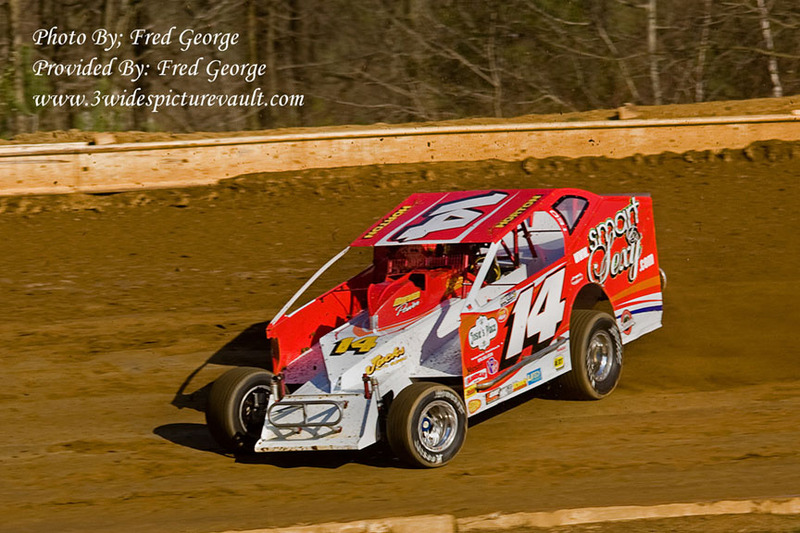 004 - #14 Jimmie Horton - He brought the 14 car home in 21st after mechanical problems. 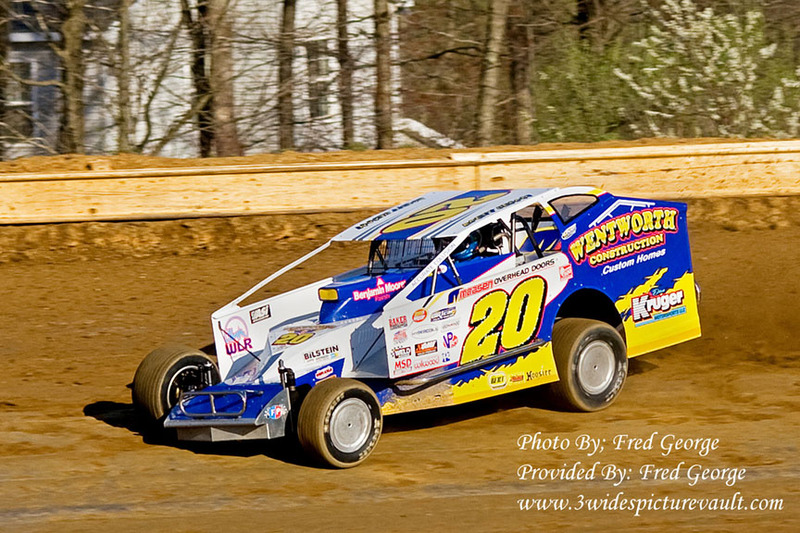 005 - #20 Brett Hearn - Brett very quietly had a good night finishing 3rd. 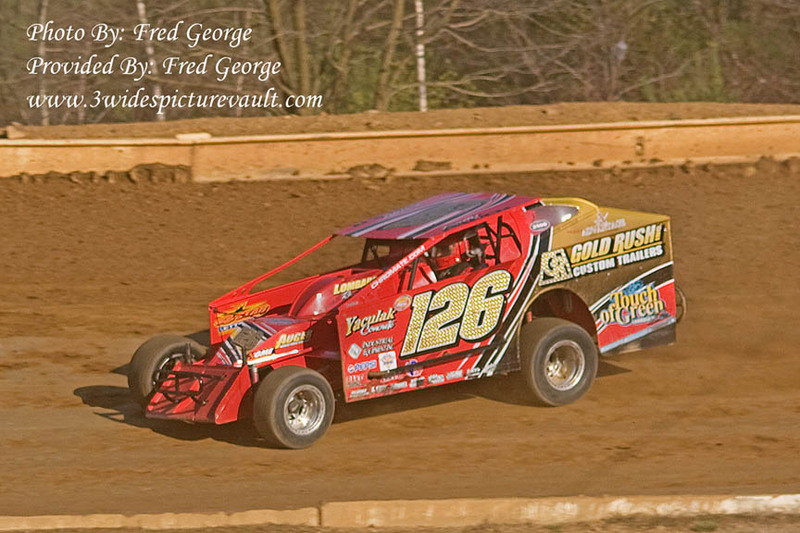 006 - #126 Billy Pauch Sr. - The Kid dropped out early in the feature with mechanical issues. 007 - #1c Craig Von Dohren - Saturday nights Grandview winner didnt fare so well tonight as he got caught up in a little mess and broke the car early on. 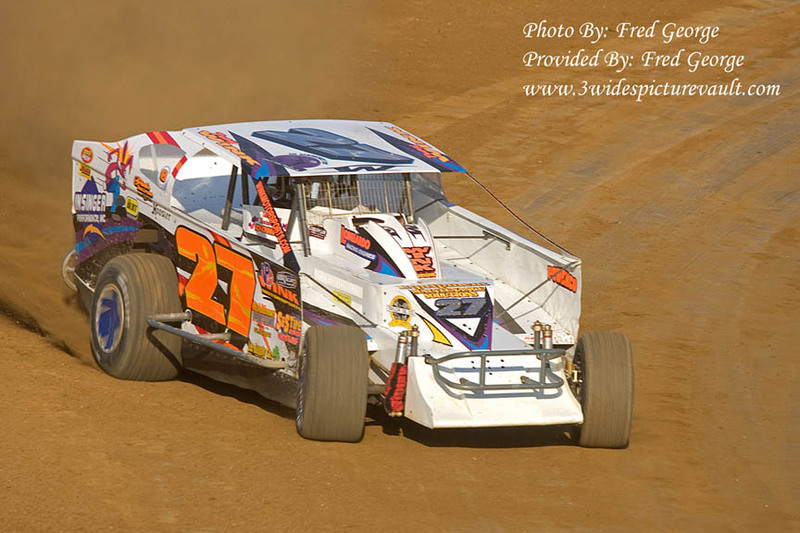 008 - #27 Troy Wink - failed to qualify. Maybe next time Troy. 009 - #14j A.J. Slideways - Alan Johnson. Alan had a solid 8th place run. 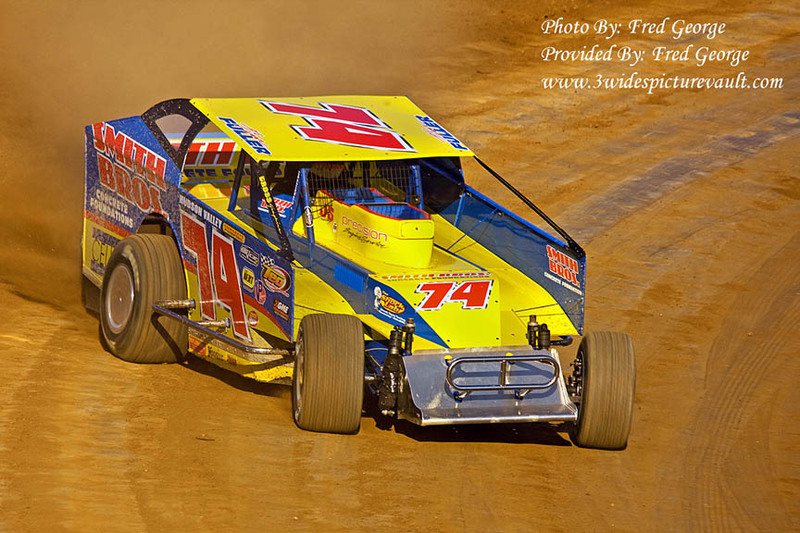 010 - #74 Tim Fuller - Tim set fast lap in time trials but couldn't figure it out at night coming home in 19th. 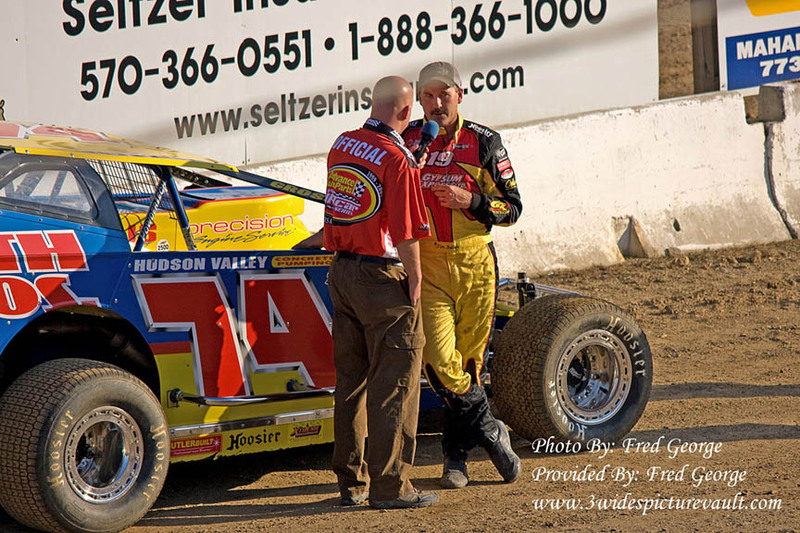 011 - Tim Fuller talks with tonight's announcer, Shane Andrews after time trials. 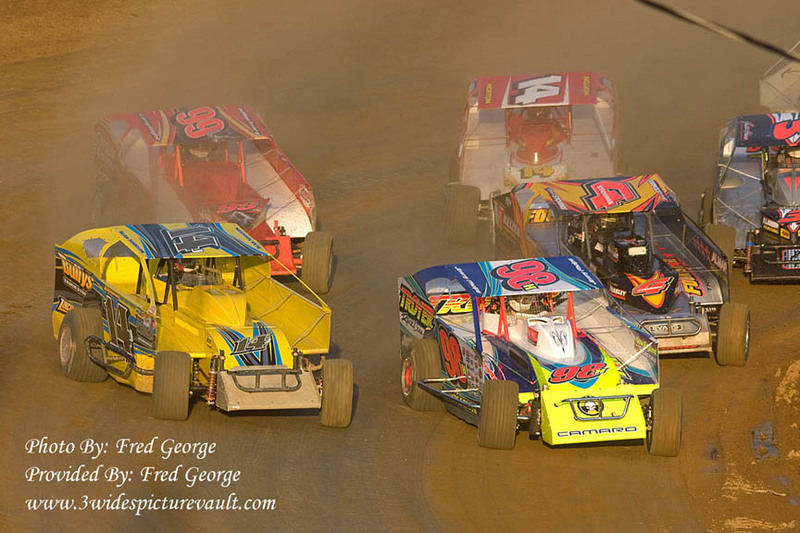 012 - #4 Duane Howard leads defending series champion #91 Billy Decker, #84 Gary Tomkins and others during heat action. 013 - #6p Pat O'Brien from Kingston Ontario Canada came a long way to end the night early this way. 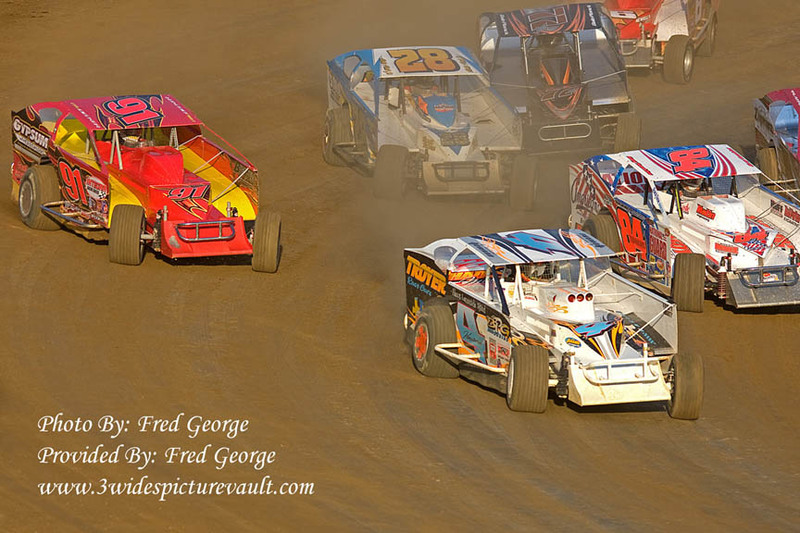 Here you see his car in the middle of settling down on the track after he rolled over on his nose. Pat was ok, but the car will need a little TLC. 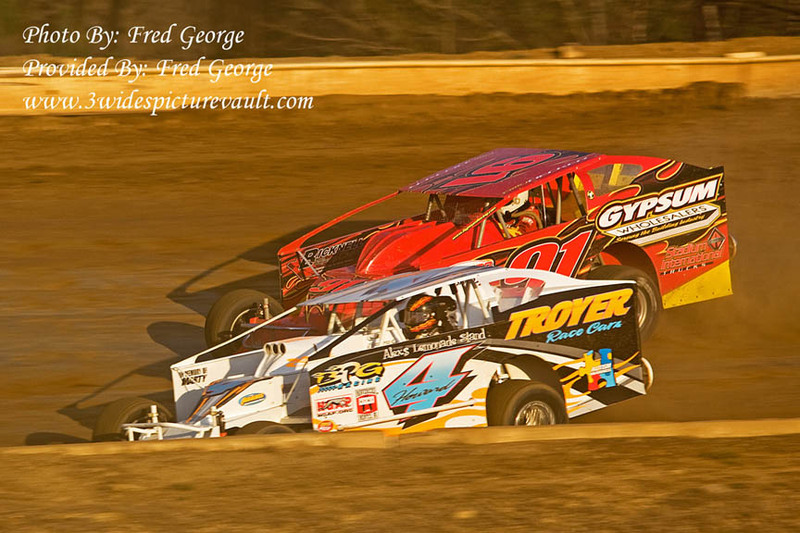 014 - #4 Duane Howard in a hard duel with #91 Billy Decker. 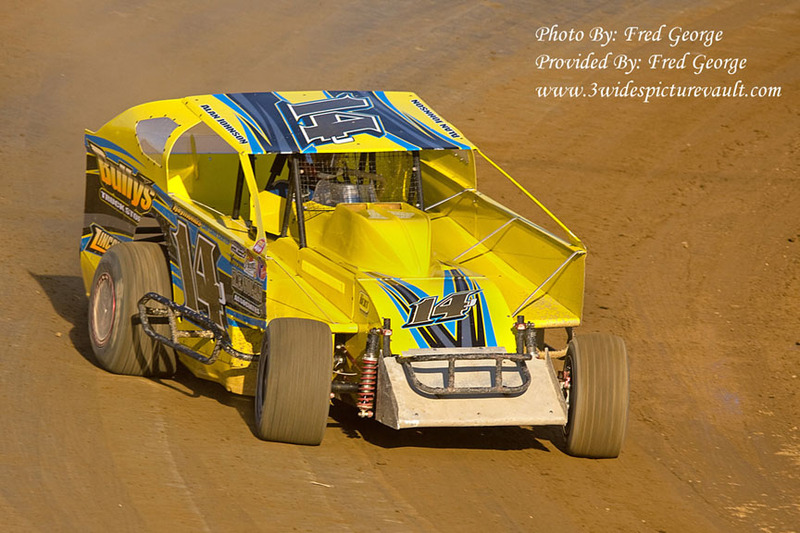 Howard would go on to win the heat race. Back to "3 Wide's Message Vault"